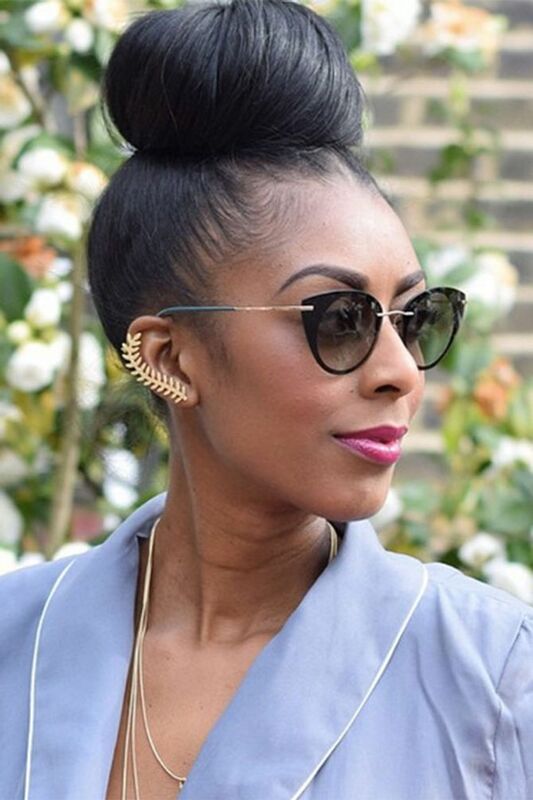 Say hello to our next #InstaStarSF of the week Marsha Campbell, the girl behind the fashion blog Style Of A London Tall Girl. Here's what the lovely Marsha C had to say about her style inspiration, blogging for success, oh and nice doors (we've secretly got a thing for them too). Don't miss her #InstaStarSF takeover TODAY! ​If you're struggling with one too many #tallgirlproblems then we might just have just answered your fashion prayers (you can thank us later). This week we had the pleasure of chatting all things fashion with Marsha Campbell AKA the blogger and style mastermind behind London Tall Girl. From her flawless eyewear collection to her staple fedoras, this girl makes Olivia Palermo look average. If you haven't already followed her across all social channels then prepare for serious fear of missing out. Why did you set up Style Of A London Tall Girl? I started my blog 3 years ago as I felt there was a gap in the market for a tall blog focusing on the fashion trends and London fashion. Also I wanted to really show other young girls and women that being tall or having a different body shape to the "norm" didn't mean that you can't be stylish and chic. It's not about what you wear but how you wear it! ​ Why did you decide on that name? Growing up my friends would always call me Miss London and being 6ft I guess Style of a London Tall Girl just worked and it had a ring to it. Then when I started my Instagram and Twitter I opted for London Tall Girl to keep everything linked. What can people expect on your blog? Inspiration for all body shapes plus styling advice for tall girls. I like experimenting with prints and colour and putting my own spin on the season trends whilst incorporating one of my fave eras, the 50's. What's the best experience you've had through blogging? Doing a documentary with Spice TV, a major African fashion channel showcasing my life as a blogger. Getting to work with brands I've always admired such as Hobbs, H&M, LK Bennett and ASOS. Being featured in top magazines both in the UK and US. Also just being part of a lovely group of London bloggers, some of which have become great friends. What can we expect on your Instagram takeover? Me, myself and a fedora! No I'm kidding... A lot of #fromwhereistand pics, outfit posts, fave things I've spotted at press days and current lusts. And the odd London door... I have a thing for them. Who do you check in with every day on Instagram? Atlantic Pacific for her sophisticated yet quirky styling. Man Repeller for all the repelling and hilarious videos and Kristina_bazan for all the dreamy photos and travel destinations. What's been your most popular post / the most meaningful thing that's happened to you on Instagram? Probably those during fashion week as everyone around the world is always interested in seeing what we British wear. One of my highlights last season was being photographed by Barney's. I was featured on their website and Instagram pages to promote their yellow bag edit which was inspired by my look. Snapchat! Everyone's using it at the moment. Also brands creating their own hashtags such as Topshop's #topshopstyle where users can upload to have a chance of being featured on their website alongside the actual garment. Being a lover of Topshop I'm already addicted! What top tips would you give for Insta/blogging success? Be consistent and true to yourself as this will come through in your posts and try to respond to your audience's questions or comments. Go for a feel and style you admire and keep your photos polished. Lastly, use hashtags to engage with brands. How would you describe your Instagram style? I tend to feature my outfits and what I'm wearing daily as well as what I get up to throughout the day, whether that be an event or press day or just my current lust. The overall feel is definitely colourful with the odd top knot and fedora thrown in here and there! Does it differ from your blog? It's more or less the same as my Instagram account is an extension of my blog. I have different users who follow me on different social channels so I try to incorporate a bit of everything. My Instagram captures moments from my daily life such as changing room selfies. I tend to be more selective with what I post on Instagram as it's very visual, whereas with Twitter I don't really pay as much attention to the picture quality. What makes a great Insta post? A clean background, and definitely good lighting/ view but other than that anything that represents you and your personality. Be true to your style. What influences who you follow on Insta? Great layout, personal style or interests and humour. How important is the image itself on Insta or do captions play a part too? I love a bit of both but the image is what initially captures my attention so I guess I would have to say image. How difficult is it to stand out in the pool of Instagram fashion bloggers? Quite difficult, that's why it's so important to find your niche and really go for it. Final words of advice/top tips? Follow your instinct in everything you do! What's next for Marsha C and SOALTG? Anything and everything, hopefully a bit of travel and more lifestyle posts. I try to always think positive so that said... The world is my oyster! Follow us on Instagram @sofeminineUK to see Marsha's #InstaStarSF takeover today! Do you know someone who's worthy of being sofeminine's next InstaStar? Get in touch! 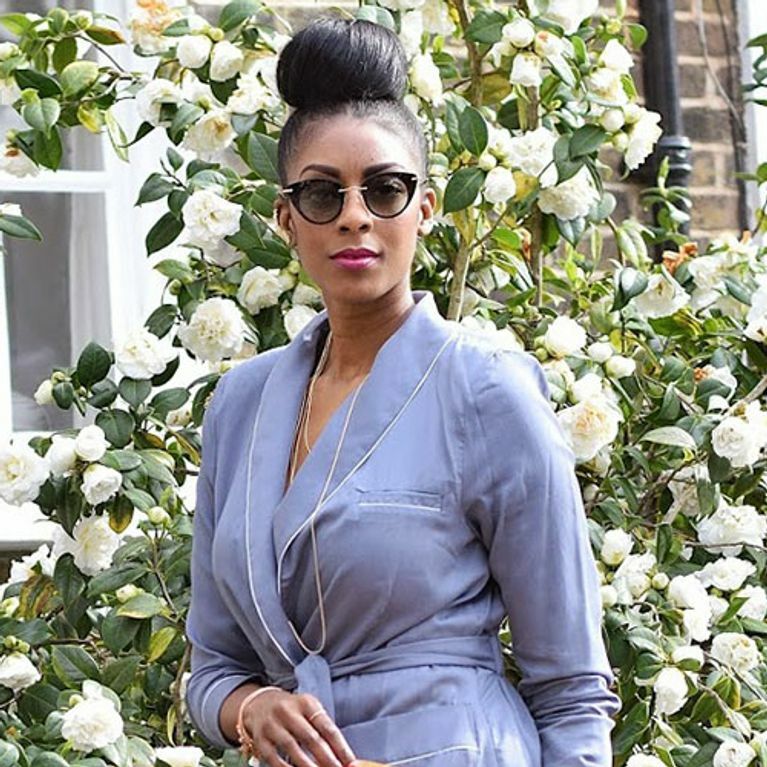 Check out more style shots from Style Of A London Tall Girl!